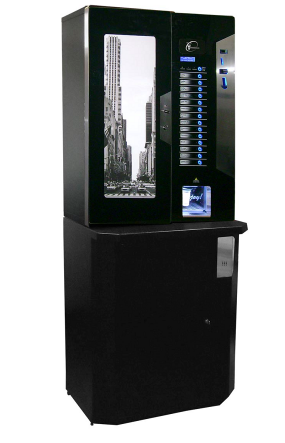 If you are considering looking into incup machines for your coffee vending needs, they are a great idea for high volume sites where the need is simply a quick option for a quality hot drink. Speed, variety, and volume are the great features of an incup coffee machine. With many payment options to suit your business, from coin-operated to free vend. Want to offer an add-on base for cold drinks or snacks? We can provide this for you, or if this is not necessary, a simple base cabinet can be added. Finally, you can opt to have your machine branded to up with your company logo on the coffee machine graphics panel. 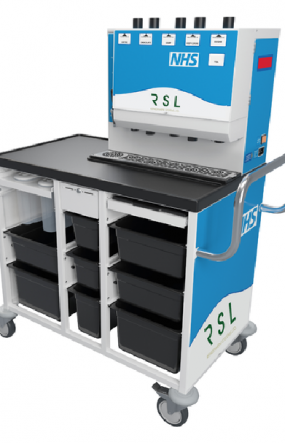 Our innovative ward trolley is designed with ease-of-use and practicality in mind. Lightweight, manoeuvrable and easy to clean. Available with your hospital branding.